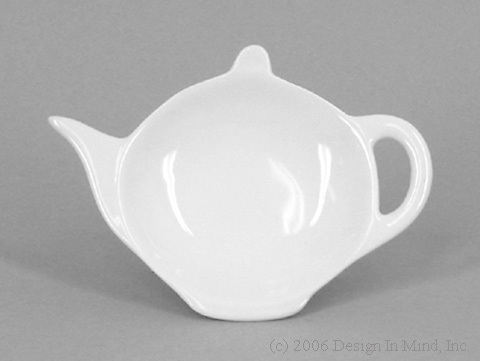 Tea tidies are intended to hold teabags after use. 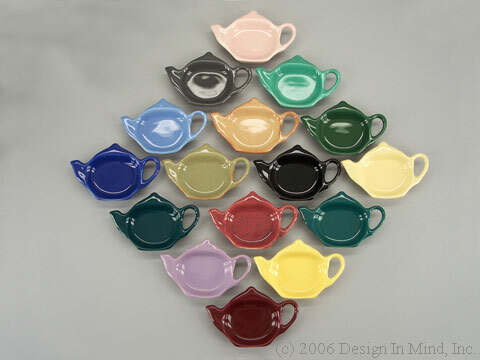 A trivet used under your teapot keeps the table neat and helps your tea cozy keep the tea hot. 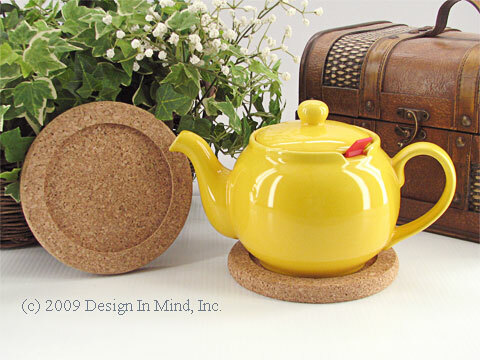 Use our cork trivet under your teapot to help keep the teapot warm and the table dry! 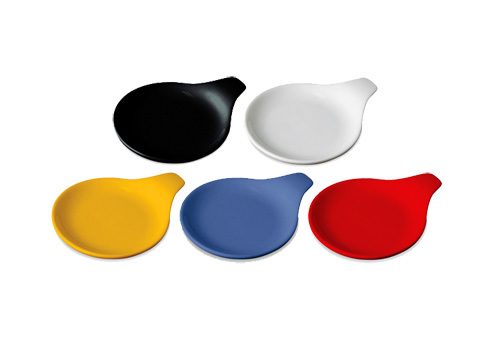 Great for mugs and wine bottles too! 6 inch diameter with 4.5" cutout. Recommended for use under our tea cozies! Simple white china tea tidy helps keep the table neat when using t-sacs, teabags, or other infusers. Also good to hold strainers that do not come with a drip cup. 4 1/2" x 3 1/4". 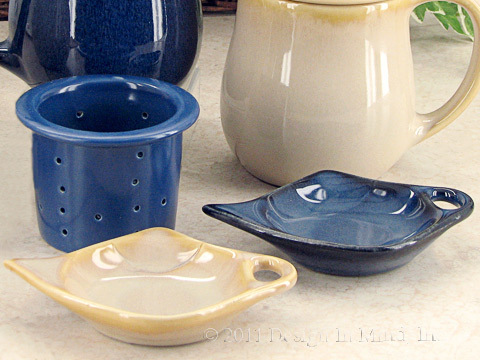 Pristine Pottery Tea Tidies. Shown are the remaining colors we have available for this wonderful tidy. Colors are listed from the top of the photo left to right. 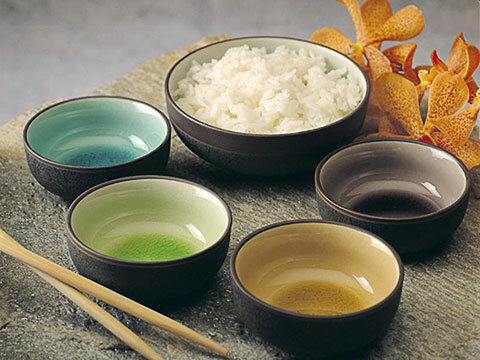 CH'A TEA Collection stoneware tea tidies with reactive glaze finish. Available in beige and blue. 3" Diameter.